We would like to wish you and your family a wonderful 2018! 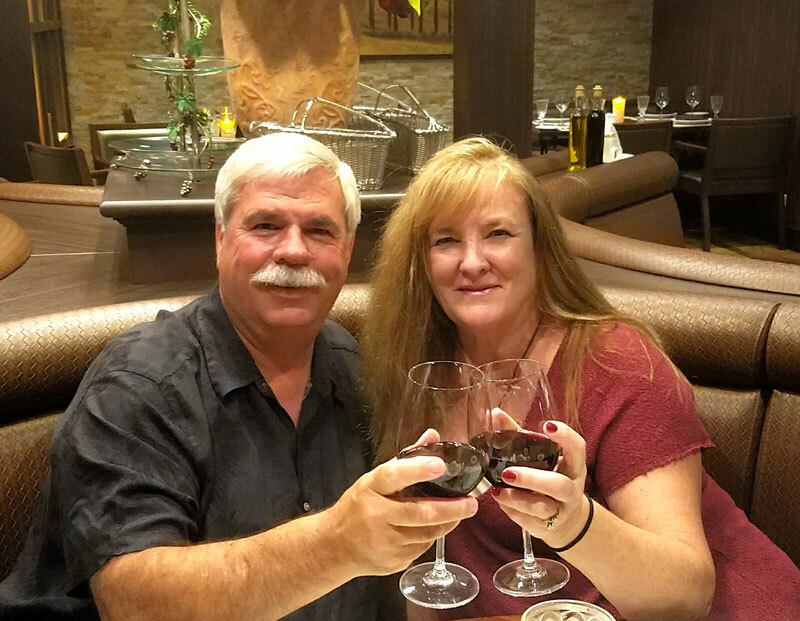 Kevin & Linda have had lots of great adventure during 2017 and have learned a lot during the year. We hope to share with you some useful and fun information that we have gathered during the year. For some of you, this is VERY important information. For others, we hope it will be educational and informative. As many of you know, we are first and foremost Residential Real Estate Brokers, listing and selling homes and condos throughout the Puget Sound Region. Many of you may also know that we are specialists in Water Properties (Floating Homes, Houseboats, and Waterfront Properties). As such, we've broken down the newsletter into 2 main categories – Residential Real Estate and Water Properties. The new tax plan has implications for your Property Tax Deductions as well as Sales Tax deductions. The two are now related to each other with regard to deductions. For 2018, you are now allowed to deduct up to $10,000 in State and Local taxes and you must choose between Property Taxes and Sales Tax. For many of you, that means your deduction could be limited compared to previous years. Many people will want to try to deduct 2018 taxes in 2017, however, the IRS will only allow prepaid property taxes if the state has already done its 2018 assessment. King County does not allow pre-paying your 2018 taxes in 2017 and will return any payments sent in for this purpose. The Standard Deduction has doubled, and in some cases, the Standard Deduction may be more appealing than Itemization. The National Association of Realtors and the National Association of Home Builders opposed this, as it may mean fewer people will be taking the mortgage interest deduction which could lower housing prices. If you have a Rental Property in Seattle, you MUST register your property and your property WILL be inspected. This is known as the Rental Registration & Inspection Ordinance. NOTE: This rule applies to ALL residential rental properties INCLUDING Floating Homes and Floating On-Water Residences. New regulations were voted on and approved by Seattle City Council regarding Short Term Rentals. These new rules affect those putting their properties up for rent for less than 3 months. There are three short-term rental bills. CB 119083 pertains to how the City taxes short-term rentals. CB 119082 relates to how STRs are addressed in the land-use code. CB 119081 relates to the Licensing Standards (What can be licensed). Housing Values in Seattle, Bellevue, Bothell & Burien over the last year have steadily increased. The good news it that your property is worth more. The bad news is that property is more expensive to buy. The following chart shows the median values (half the properties sold were above and half were below the median) in Seattle and cities to the east, north, and south of Seattle. Is there a Bubble? Hard to say. We are expecting price increases to slow down, however, the trends are still upward. With tax changes affecting home ownership, there could be a turnaround in pricing during 2018. We welcome your thoughts! Water-based properties (Floating Homes, Houseboats, and Waterfront Properties) are still in high demand with very limited supply. There is only so much shoreline, and Houseboats and Floating Homes have been capped at their current levels. This means a mostly fixed commodity with increasing demand. There were 80 water properties sold in 2017 ranging in price from $120,000 to $8,850,000. Special Agents Realty had a total of 20 water property transactions (buying and selling) in 2017. If you are considering Water Property, either buying or selling, we are definitely experienced in this area and would love to help you. IMPORTANT NOTICE: Seattle's new short-term rental regulations prohibit short-term rentals for over-water properties. If you own a houseboat (Floating On-Water Residence) or a Floating Home and are using it as a vacation rental, you will no longer be allowed to do this. A. Short-term rental uses are permitted in any structure established as a dwelling unit unless (1) the proposed use is in a dwelling unit established as a caretaker’s quarters, or (2) the proposed use is over water or otherwise prohibited by the shoreline regulations contained in Chapter 23.60A. While Short-Term Rentals are prohibited, long-term rentals (3 months or greater) are still allowed over water. If you have a rental property in Seattle, even if it is a houseboat (Floating On Water Residence), or a floating home, you must register your property and it will be inspected. For more information, please read the Rental Registration & Inspection Ordinance. Floating On-Water Residences are subject to permitting regulations when doing Exterior Remodeling, Renovating, and Major Repairs. Floating On-Water Residences may expand up to 120 square feet, but must not increase their over-water coverage. Although expansion beyond 120 square feet is permitted, the City of Seattle is proposing strong rules for containing grey water that must be implemented with this type of expansion. Generally, if your exterior work exceeds $6416.00 you will need to obtain a shoreline exemption permit (Fairly easy to obtain). This may include things like hull replacement, re-siding, re-fiberglassing decks, etc. NOTE: If you are replacing your Floating On-Water Residence, you must obtain a full Shoreline Development Permit (Complex & expensive). For more information, please see the TIP 229. We've enjoyed working with our fabulous clients and friends and hope that you find this newsletter useful. If you no longer wish to continue receiving these emails, please unsubscribe below.